Amyotrophic lateral sclerosis (ALS) is a progressive neurodegenerative disease that affects nerve cells in the brain and spinal cord. Motor neurons reach from the brain to the spinal cord and from the spinal cord to the muscles throughout the body. The progressive degeneration of the motor neurons in people with ALS eventually leads to their death. Asuragen is committed to advancing the understanding of ALS by providing clinical researchers with the tools necessary to investigate challenging gene targets like C9orf72 associated with ALS and frontotemporal dementia. Our AmplideX PCR/CE C9orf72 Kit* overcomes the challenges of analyzing the C9orf72 gene so clinical and pharmaceutical researchers can focus on what matters most – scientific breakthroughs that drive better outcomes for patients. Many people have heard of ALS, but very few know what the disease is or what it’s like for those living with it. 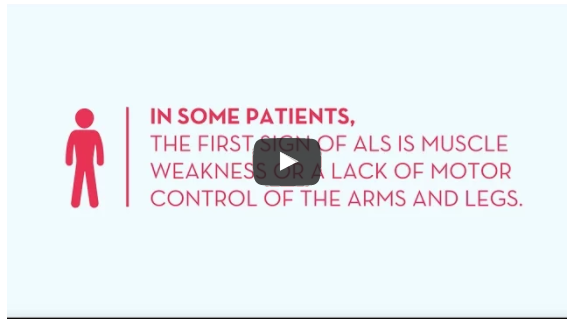 The ALS Association created a video to help shed light on the signs and symptoms of ALS. For more information on ALS, or to see how you can get involved, visit www.alsa.org. Click here to learn more about Asuragen Genetics.